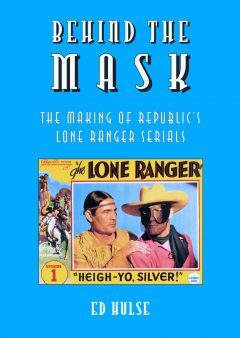 In addition to being the most profitable chapter play in the 20-year-history of Republic Pictures—generating more than $1.1 million in worldwide revenue—The Lone Ranger (1938) set new standards of excellence for motion pictures adapted from characters originating in other media. It was a genuine phenomenon, securing bookings from major theater circuits and big-city picture palaces at the time when serials mostly played during Saturday matinees in small-town movie houses. 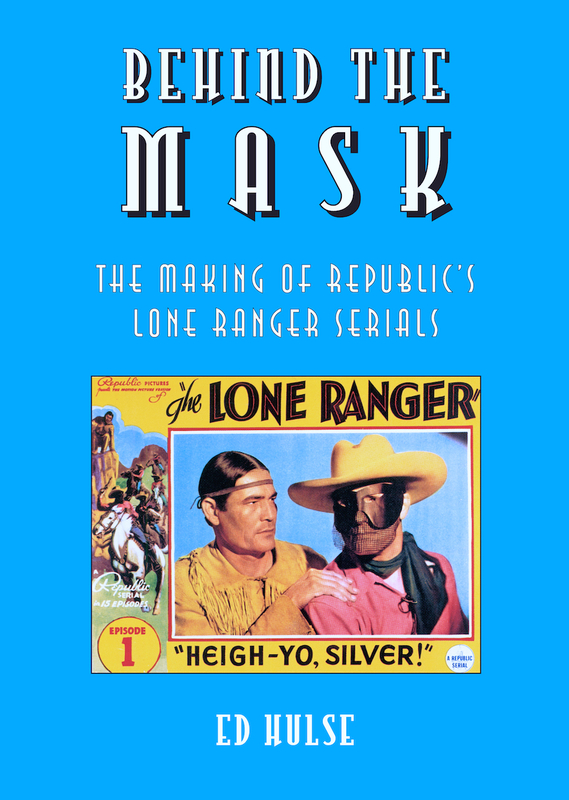 Along with their success at box offices, both The Lone Ranger and its 1939 sequel, The Lone Ranger Rides Again, added considerably to the lore and evolution of this beloved hero of American pop culture. In this profusely illustrated monograph, film historian Ed Hulse presents a comprehensive, heretofore untold, behind-the-scenes history of both serials’ production. It has been extensively researched from recently uncovered documents buried deep in the files of George W. Trendle, the broadcasting magnate whose Detroit radio station WXYZ was the Lone Ranger’s birthplace and home for more than two decades. Hulse has reviewed hundreds of pages—private letters, legal correspondence, inter-office memos, studio production reports, even the original 1937 contract between Trendle and Republic—culling from them all pertinent details relating to the making of both serials and the first’s 1940 feature version, Hi-Yo Silver. To this material he has added information gleaned from his own interviews of principal participants: co-director William Witney, head writer Barry Shipman, stunt double Yakima Canutt, and cast members Herman Brix, George Letz (Montgomery), and Sammy McKim. The monograph sports dozens of illustrations: rare stills, posters, advertisements, lobby cards, magazine covers, and production documents.